Paramount Pictures announced today it will release a still untitled An Inconvenient Truth sequel theatrically. 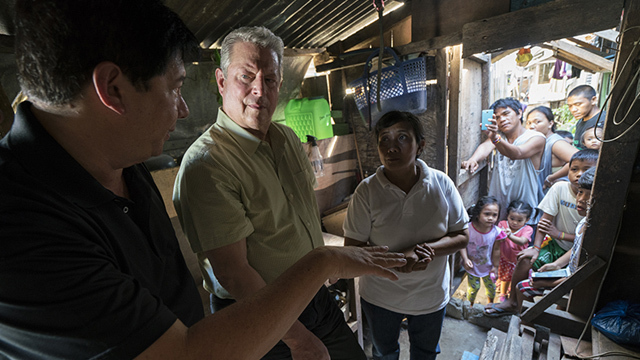 From Participant Media, and directed by Bonni Cohen and Jon Shenk, the An Inconvenient Truth sequel follows former Vice President Al Gore as he continues his decades-long fight to build a more sustainable future for our planet. The 2006 original won two Academy Awards. Stepping beyond the limits of the first movie’s focus on Gore’s inspirational slide presentation, the An Inconvenient Truth sequel travels the world and delivers an inspirational story of change in the making. It is produced by Richard Berge and Diane Weyermann and executive produced by Jeff Skoll, Davis Guggenheim, Lawrence Bender, Laurie David, Scott Z. Burns, and Lesley Chilcott. Paramount Pictures will premiere the An Inconvenient Truth sequel at Sundance and then release the film theatrically later in 2017.